I think it’s about time to decorate our nursery. My first daughter is now 2-1/2 and my second daughter is 6 months. It’s not to say that it’s completely not decorated, but I really didn’t apply myself when I first put it together. 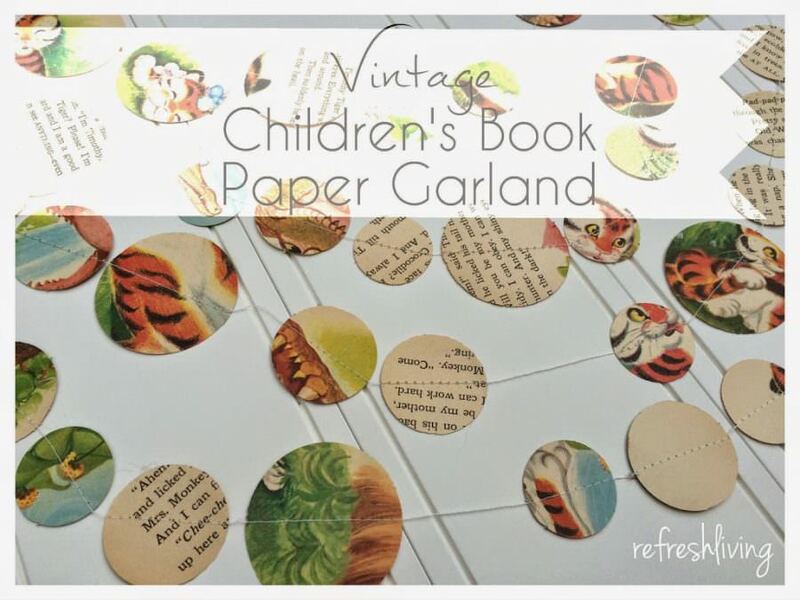 I think I would love to do a book theme (I’m surrounded by reading, perfect for a literacy teacher…) and work in a mix of vintage and modern styles. 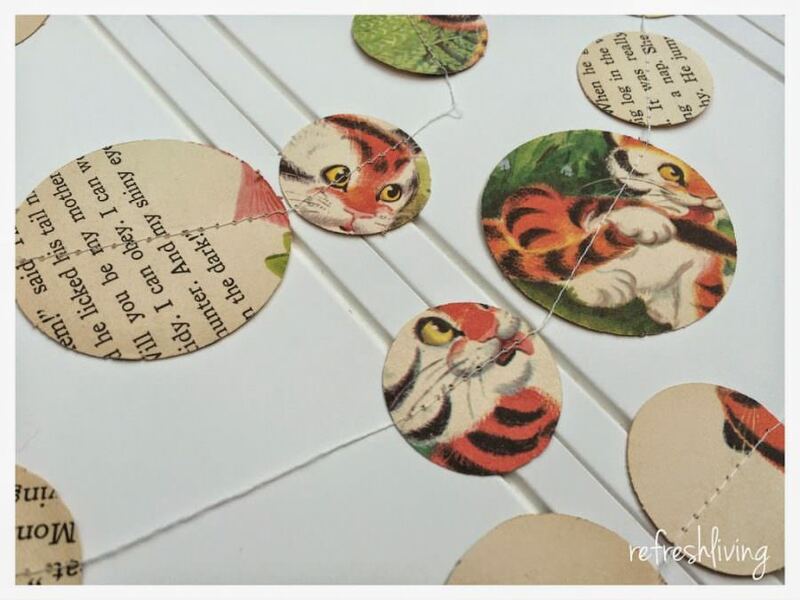 Here’s my first project: a children’s book paper garland that I may end up turning into a mobile, or I may just drape it across the bookshelf or a corner of the room. You’re right, this picture doesn’t actually show the garland from a children’s book. 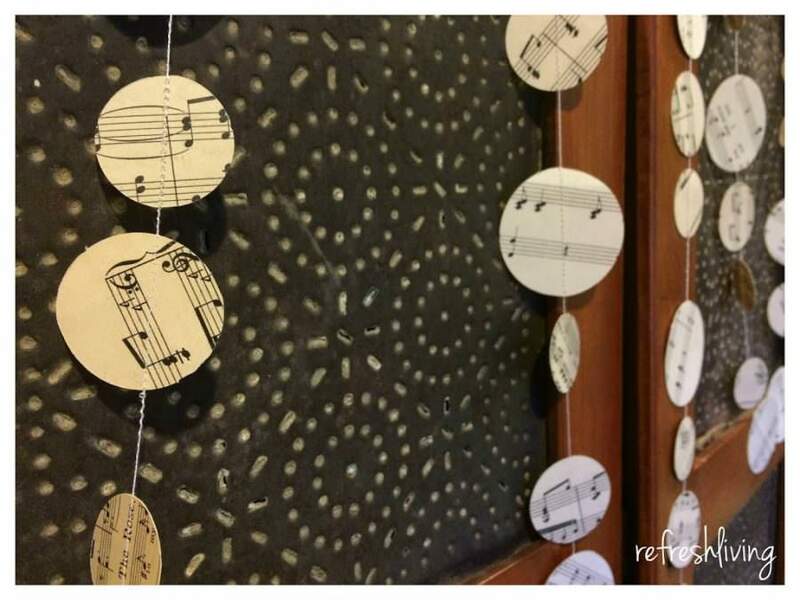 I also made some garlands out of vintage sheet music, so you’ll see a mix of both in this post. 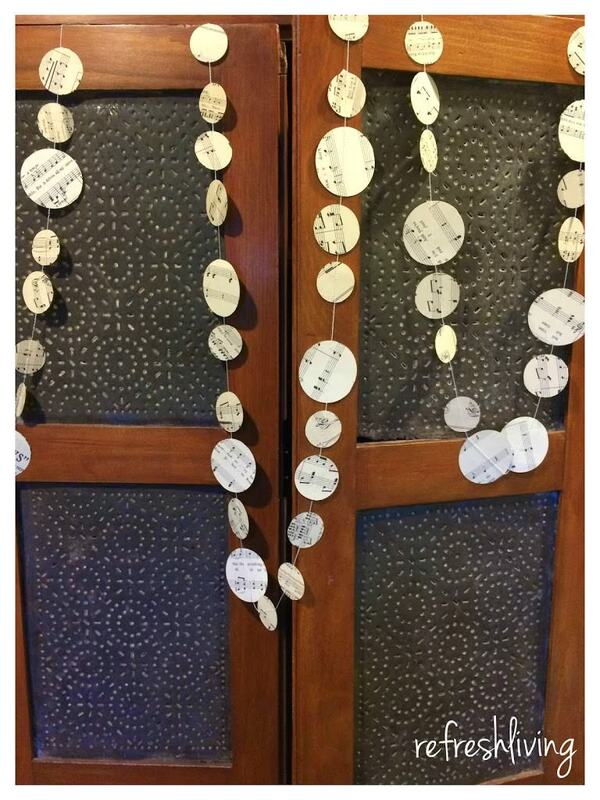 I’ve seen images of these garlands a lot, but never realized how easy they are to make, especially with the technology of a sewing machine and Cricut machine. I used my Circut to cut about 80 circles of three different diameters, 1-1/4″, 1-1/2″, and 2″. I started with one of the circles and sewed across the center of the circle. 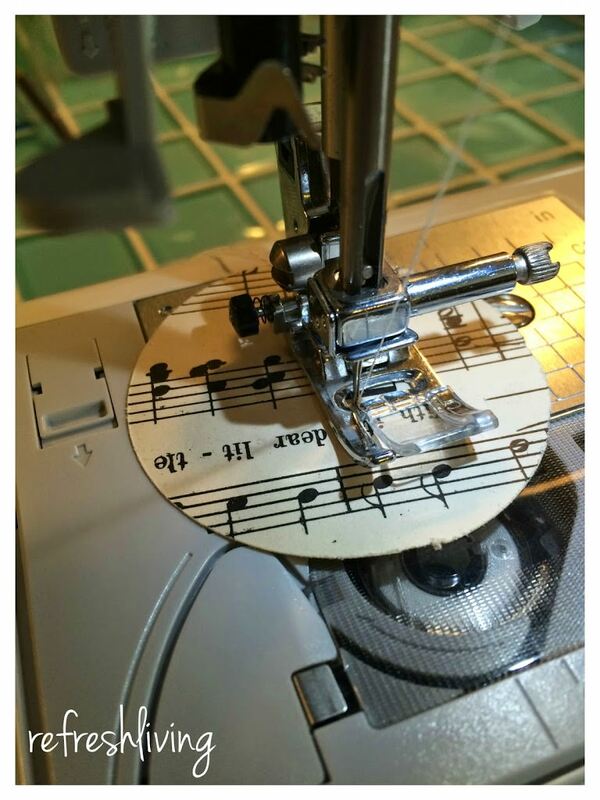 It’s as simple as randomly sewing circles next to one another. 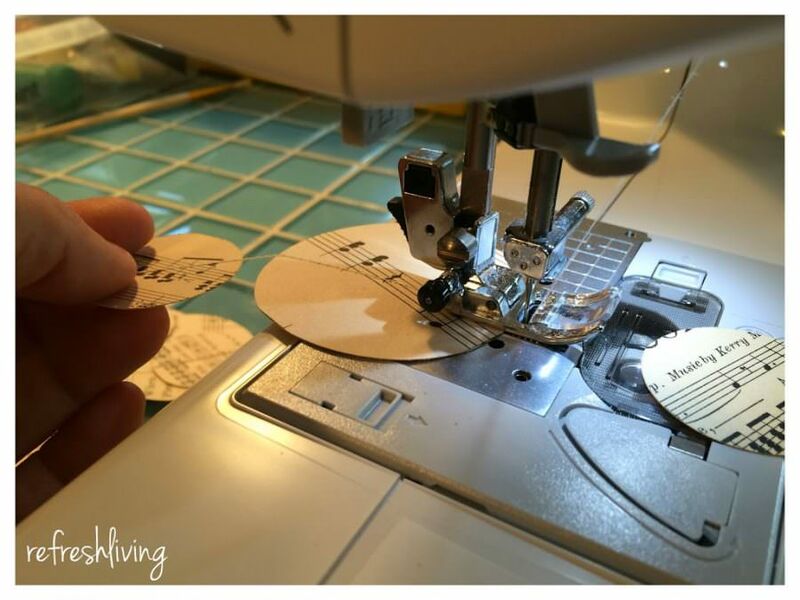 To get a little more space between the circles, lightly tug on the thread at the back of your sewing machine while continuing to sew. I was very random in the size of the circles and distance between them, but I think it adds to the charm of it. I’ll be sure to add some photos of it in the nursery! I’m selling both in my Etsy shop – which I finally decided to open after years of people telling me I should. Right now, it’s a little random and there’s very few items, but I’ll be adding more items, mainly tied to the theme of upcycling antique and vintage items. Please check it out!